Before you hit the print button, you must see first what your documents look in the paper. You can achieve this in Microsoft Word using the Print preview option. 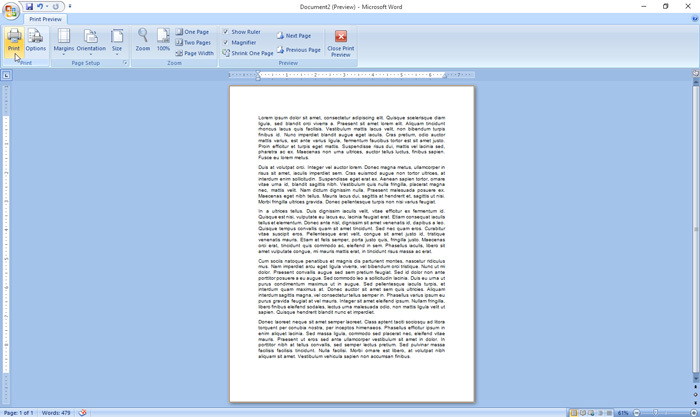 In the previous version of MS Word like Word 2007, you can either print directly without seeing the preview of the document or hit the print preview first before printing while on the latest versions like Word 2010 onwards you when you click print it will automatically bring you to print preview of the document. In this article, tutorial we will show to you how to print preview first the document that you want to print before printing. Let’s start with MS Word 2007. 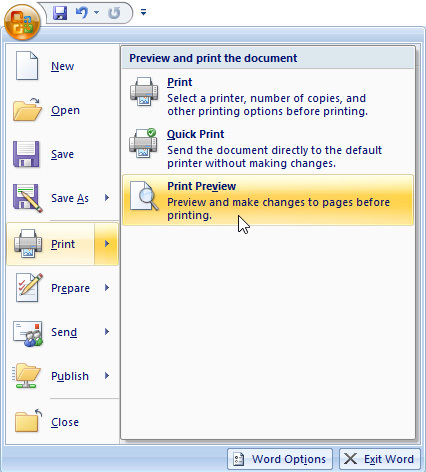 To print preview in Word 2007, click Office button on the top-left corner of the screen to reveal the menu, click “Print” then select “Print Preview” in the side menu. 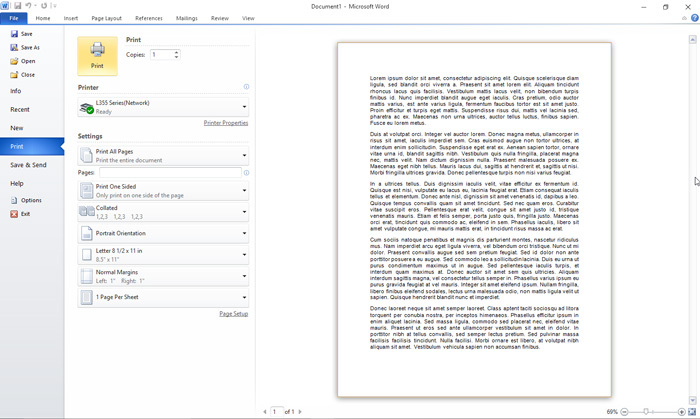 It will take you to print preview page where you can see what your document looks at the paper. If you’re satisfied, you can now print the document. MS Word 2010 has different controls when printing, unlike in the Word 2007 that has a separate page when you print preview, in Word 2010 it is included when you hit print whether it is keyboard shortcut (CTRL+P) or using your mouse. To print preview in Word 2010 or later version, perform CTRL+P or go to File menu and select Print, you will take you in this window where you can make some adjustments in the page settings or print it directly.